A recent random sampling of our own customer websites shows that the number of visitors using mobile devices is about 20%. 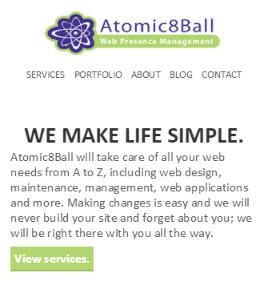 That's why we've taken great care to provide our Atomic Marketing customers with special mobile website styling. This special styling goes beyond a "mobile site" and allows a mobile user to access your entire website in a mobile/touch friendly interface. It's clean and easy to read from a small device. 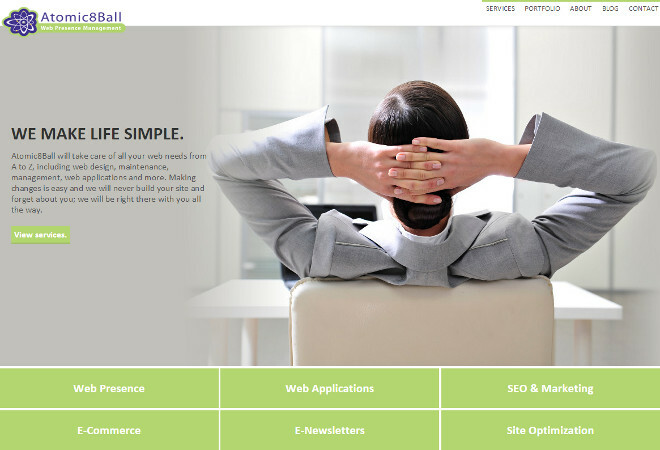 The navigation targets are clear, spaced and the most important information is showcased. In addition, the large images are not loaded to preserve mobile data, battery life and increase load time. Having a mobile friendly website can make a difference in your customer's confidence as they research their purchasing options and is now a very important part of any company's online presence.